On New Year&apos;s Eve, Senator Elizabeth Warren announced that she plans to enter the 2020 race for the White House. She hinted as much several months back by releasing a slew of ambitious legislative proposals outlining her likely platform, including reform packages to retool capitalism and roll back corruption. One of those bills could put the nation&apos;s housing affordability crisis center stage in the next presidential election. The American Housing and Economic Mobility Act, which Warren introduced in the Senate this fall, features detailed strategies for attacking the housing crisis from a number of angles. 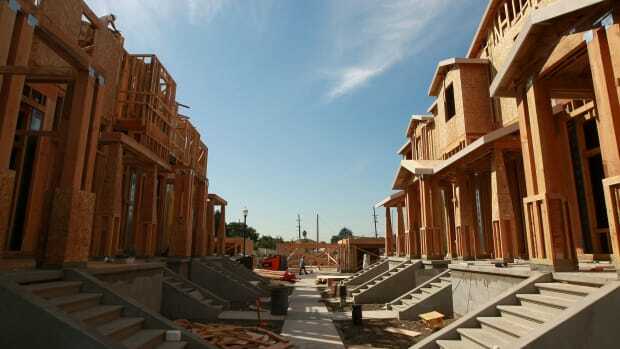 There are policy prescriptions for building more housing in markets where demand has lapped supply. There are also answers for homeowners who are still underwater on their mortgages in the wake of the financial crisis. Warren&apos;s bill drives at two distinct housing crises: one marked by not enough homes, the other by homes with too little value. Those two features alone would signify a sweeping effort to speak to worries in rural and urban America alike. The bill goes further, however: Warren&apos;s act includes a provision to use federal funds to help bridge the wealth gap between black and white families. A policy by any other name might be called reparations. "It sounds very close to reparations," says Jenny Schuetz, the David M. Rubenstein fellow at the Brookings Institution. "It sounds as close as you can go to reparations without making this explicitly funding contingent on the race of the applicant." 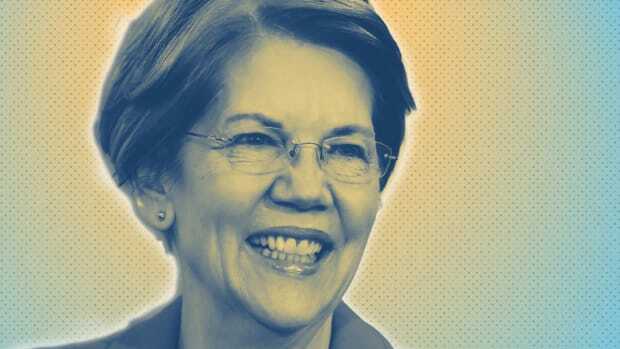 But other experts in the field aren&apos;t as convinced that Warren&apos;s bill tiptoes anywhere near a proper definition of this term, which has tangled previous lefty Democratic presidential candidates in controversy. Warren&apos;s bill tries to solve a problem that is explicitly rooted in race, but without mentioning race. That&apos;s a strategy that could either narrow the gap or blur the issue. Here&apos;s how it works: Title II of Warren&apos;s proposed bill establishes a new fund within the United States Department of Housing and Urban Development (HUD). This to-be-determined purse would provide down-payment assistance to first-time homebuyers in communities that were once subject to redlining. Redlining refers to the notorious practice under the New Deal by which the Home Owners&apos; Loan Corporation marked up residential maps to indicate risk for lenders, often assigning black communities failing grades. Legal redlining by lenders persisted into the 1970s (and discriminatory maps still surface from time to time). Formerly redlined neighborhoods are sites of deep racial disparities in home value and lending activity. Under the new dispensation, homes in low-income census tracts that are within areas once graded as "hazardous" by the Home Owners&apos; Loan Corporation—or areas that were otherwise zoned for minority residents—would qualify for the down-payment program. To be eligible to receive the assistance (3.5 percent, good enough for a Federal Housing Administration loan), an individual would need to be a first-time buyer, a resident of the area for four years, and earning no more than 120 percent of the area median income. So this part of Warren&apos;s plan—titled "Reversing the Legacy of Housing Discrimination and Government Negligence"—is an effort to identify communities segregated by law and provide cash assistance to homebuyers in these areas. But the filters can only do so much. This formula cannot guarantee that white gentrifiers never qualify for a program intended for African-American and other minority buyers, although the bill seems to bear them in mind. "She&apos;s trying to target reparations to groups that have been harmed without writing them in such a way that they&apos;re open to abuse or exploitation by people who moved into a neighborhood recently," Schuetz says. "Those are often hard policies to get right." The bill raises questions about how thorough the program could be in screening white homebuyers from receiving cash compensation for historical legal discrimination. As a discussion of reparations, this is where William Darity, director of the Samuel DuBois Cook Center on Social Equity at Duke University, taps out. The professor of public policy says that down-payment assistance might not be a bad idea, but it falls way short of addressing historical reparations. "The project doesn&apos;t actually target the people who have been subject to the victimization," Darity says. "By avoiding making it a program that&apos;s directed specifically at the families that either were living in neighborhoods subject to redlining, or families that indirectly lost income as a consequence of the impact of redlining given the existence of segregated residential areas, the bill is not designed to provide resources specifically to those families that were victimized. It actually gives resources to current residents." Darity outlines several flaws with the provision. One is practical: Families who do not deserve compensation for historical structural discrimination could nevertheless qualify for the funds (whose overall levels are not specified in Warren&apos;s bill). That—beyond being a truly noxious unintended outcome—could be counterproductive. 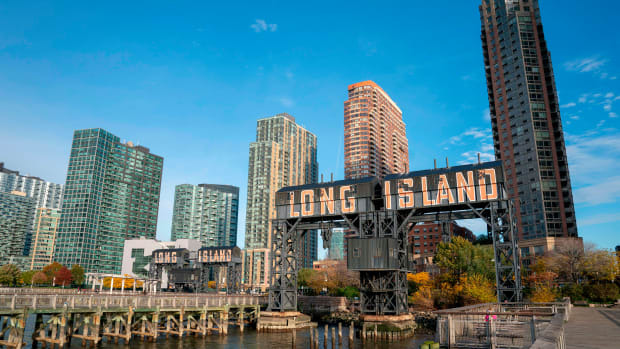 "Under dint of gentrification, you may have a host of current residents who are first-time homebuyers whose income levels, because of their age, are low enough for them to meet the threshold," Darity says. "But they definitely were not from families who were victims of redlining." The provision falls short of a policy to level the effects of housing discrimination, he adds, because it recommends a compensatory action connected to home buying. It neglects other dimensions of the racial wealth gap created or reinforced by segregation. 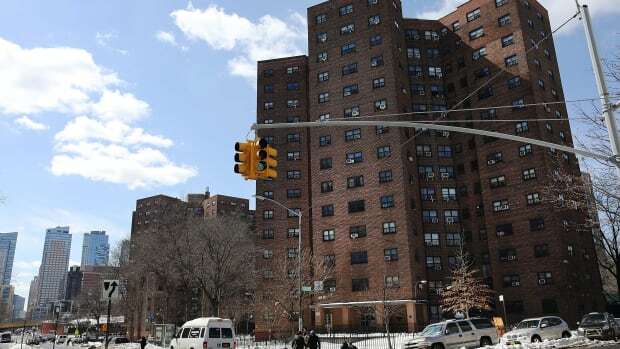 Worse still, the provision could even negatively impact its intended recipients, according to Lisa Rice, president and chief executive officer of the National Fair Housing Alliance. The filters set forward by Warren&apos;s provision—which Rice describes as a good starting point—would not prevent gentrification and displacement of African-American and other minority residents. "A lot of African Americans and Latinos who live in areas that were previously redlined or are currently redlined are not in a category of a first-time homebuyer," she says. "They have owned a home. They are current homeowners. They may have been a victim of the predatory lending crisis. They may have owned a home and experienced foreclosure. That foreclosure may have occurred within the past three years." "These are things that need to be addressed and fixed in the bill," Rice adds. Even just focusing on racial disparities in home mortgages, redlining maps may be the wrong place to start. As counterintuitive as it sounds, the original maps did not lead to fewer conventional loans for majority black communities in the 1930s or decades after, as researchers Richard Sander, Yana Kucheva, and Jonathan Zasloff demonstrate in Moving Toward Integration: The Past and Future of Fair Housing. The Home Owners&apos; Loan Corporation was progressive in its lending policies, even—although the effects of redlining, compounded over decades, did drastic and irreparable damage to black home equity and residential segregation. "To some historians and other writers, the [Home Owners&apos; Loan Corporation] maps are a smoking gun that reveals the federal government&apos;s inside role in fostering racial segregation," reads a passage in Moving Toward Integration. "The maps, it is said, provided the original inspiration for bank &apos;redlining&apos; of minority neighborhoods. By choking off credit to minority homebuyers, [Home Owners&apos; Loan Corporation] led the way in pauperizing inner-city blacks and effectively containing them in ghettos." To which the researchers add: "Some of these claims are plainly nonsense. ... The [Home Owners&apos; Loan Corporation] maps were clearly not simply a scheme of racial classification." Warren&apos;s provision neglects to mention race but seeks to address a historical racial injustice by proxy. Making such a policy work efficiently would inevitably mean raising an authentic discussion about what a reparations program could and should look like. While Darity says that would be welcome, he also says that passing legislation that only narrowly addresses historical housing injustice could end up setting back this particular cause. "The more negative possibility is that people will say, &apos;That is reparations—you don&apos;t have to do anything more.&apos; I&apos;m not sure which direction people will take if a program like this is adopted," Darity says. "My caution is that I think it is problematic if a program like this is labeled as a reparations project. In the classic American phrase: Let&apos;s move on." Warren&apos;s bill offers aid to many communities stung by federal housing policy. It assigns $2 billion to borrowers who owe more on their mortgages than their homes are worth, which means funds designated for rural and suburban communities hit especially hard by the foreclosure crisis. 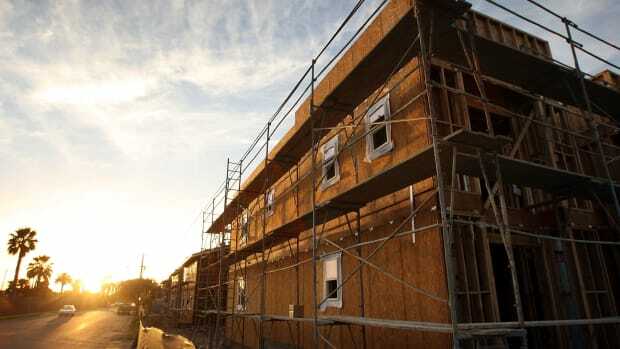 The law would generate $445 billion for the Housing Trust Fund (which the Trump administration has sought to wipe out) in order to support the construction and rehabilitation of some 2.1 million affordable homes. It would increase HUD funds for tribal grants and rural housing programs. All this spending would be paid for by dialing back exemptions to the estate tax; an analysis by Moody&apos;s Analytics finds that Warren&apos;s bill would be deficit neutral. Support for Warren&apos;s bill has come from the National Low Income Housing Coalition, National Community Reinvestment Coalition, and other organizations. Representative Cedric Richmond and three other members of the Congressional Black Caucus introduced companion legislation in the House. But the package has virtually no chance of passing Congress while Republicans control the Senate. Does that mean that her housing package is an exercise in virtue signaling? At 70 pages, it&apos;s a detailed one, if so. Emily Cadik, executive director of the Affordable Housing Tax Credit Coalition, says that elements of the bill would supplement the Low-Income Housing Tax Credit, currently the nation&apos;s best mechanism for producing homes for vulnerable families. "Were the [Housing] Trust Fund expanded, that would provide more gap financing for tax-credit developments, which has been drying up at the federal, state, and local level for recent years," she says. "Changes to zoning could help as well." So Warren&apos;s American Housing and Economic Mobility Act features some gestures at visionary policy side-by-side with narrowly tailored solutions. Big-picture look: It creates some $10 billion in incentives for local governments to lift restrictive land-use policies in order to encourage new affordable housing and break the iron grip of single-family zoning, along the lines of what Minneapolis has just done. More narrowly, the bill also strengthens and renews the Community Reinvestment Act to make sure that lenders are working for their communities even as banks move online. Does the down-payment grant program count as galaxy-brain thinking or a narrowly construed solution? As it currently stands, perhaps neither. 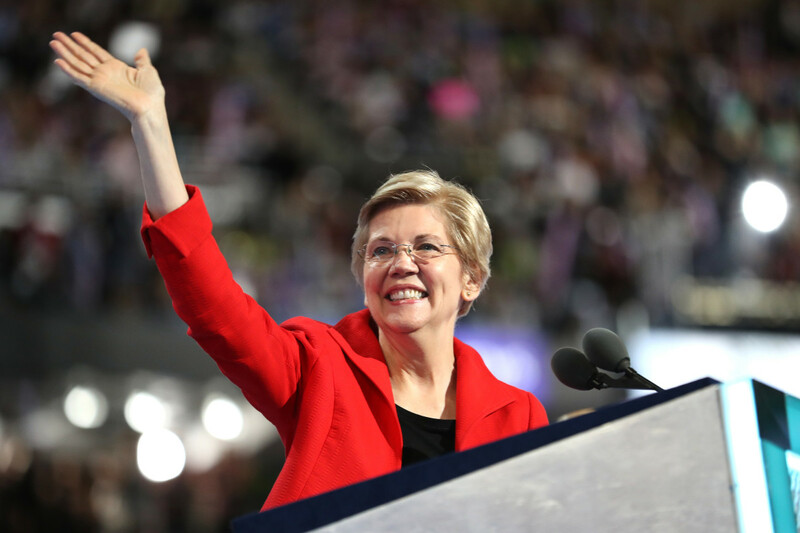 But Warren&apos;s bill is rooted in language that has been missing from presidential debates—racial injustice—about a topic that has not recently surfaced as a presidential issue—fair housing. That in itself could be powerful. "One of the things that I like about her bill is that she goes through and identifies places where past policies have created harm," Schuetz says. "The foreclosure crisis, redlining that limited access to capital, exclusion of minorities from the mortgage market—[she] essentially says, &apos;We&apos;ve created disparities with past policies. Here&apos;s an attempt to try to fix that.&apos;"
The senator is targeting Recession-era private-equity practices. A public design commission has created a guide that instructs developers in how to create more coherent design for housing projects across the city. What's Missing From Our Understanding of Affordable Housing? Housing, as a social policy, is something that's been litigated—and re-litigated—for decades, and quite vigorously so.